God reveals a fascinating and detailed prophecy about a future war campaign against Israel in the book of Ezekiel. This war is known as the "Gog and Magog War" because the people of Magog and their leader Gog will lead the attack against Israel. Scripture clearly teaches that this particular war will be a turning point for Israel, with regard to their relationship with God. The sobering, yet exciting aspect of this study is that for the first time since Ezekiel penned these prophecies, the countries that will gather against Israel have built an alliance in recent years. The prophetic puzzle pieces are now in place. It is just a matter of time, that is, God's timing before these prophecies find fulfillment. The first page of this study is a verse-by-verse study of Ezekiel 38-39. The second page is a study of the placement the "Gog and Magog War" on the prophetic timetable. Gog is the leader of the horde and prince of Meshech, and Tubal. Solid historical accounts point to Magog being Russia (source). This makes sense in light of Gog coming from the "far north." Russia is the furthest country directly north of Israel. In the Hebrew, "the prince of Rosh" is literally "the chief prince"; not the prince of a place called Rosh, as some scholars suggest. There is some disagreement among scholars on the locations of Meshech and Tubal, though most believe they represent the former southern Soviet states. Currently, the former Soviet states are still independent from Russia since the fall of the Soviet Union in 1991. However, in 2008, Russia invaded the country of Georgia. This act of aggression by Russia, trying to take the area of South Ossetia from Georgia, may hint that Russia desires to rebuild the Soviet Union again. Indeed, Ezekiel's prophecy shows us that Russia will govern over these former Soviet states before this prophecy takes place. In other words, Russia will either re-conquer these territories, or they will submit to Russian rule again in the future. We will go into much more detail on Gog later, but for now it is important to know that Gog is not the name of a person, rather it is a title for a leader. Gog appears as a supernatural being elsewhere in Scripture, yet he is also killed and buried (Ezekiel 39:11). I take this to mean that Gog will be a human leader, likely controlled by a demonic spirit, or a fallen angel. Note that Gog is a "chief prince," and not a king. This may suggest that Gog is not the supreme leader of Russia at the time of the invasion. In other words, the human leader being led by the demonic spirit could be the Prime Minister of Russia at the time of the war. This is because the Prime Minister is the office below the President, who is the second in command, or "chief prince." On the other hand, the title of "chief prince" could instead describe a rank within the angelic realm under Satan, such as the "prince of Persia," who fought against the heavenly "chief prince," the archangel Michael (Daniel 10). 4 I will turn you around, put hooks into your jaws, and lead you out, with all your army, horses, and horsemen, all splendidly clothed, a great company with bucklers and shields, all of them handling swords. James 3:3 - Indeed, we put bits in horses' mouths that they may obey us, and we turn their whole body. Job 41:1-2 - Can you draw out Leviathan with a hook, or snare his tongue with a line which you lower? Can you put a reed through his nose, or pierce his jaw with a hook? Ezekiel 29:3-4 - Speak, and say, 'Thus says the Lord GOD: "Behold, I am against you, O Pharaoh king of Egypt, O great monster who lies in the midst of his rivers, Who has said, 'My River is my own; I have made it for myself.' But I will put hooks in your jaws, And cause the fish of your rivers to stick to your scales; I will bring you up out of the midst of your rivers, And all the fish in your rivers will stick to your scales." This passage shows that God Himself will persuade Gog to reluctantly lead the armies against Israel. In other words, circumstances will be such that Gog will have no choice but to follow God's will. For example, Russia may get pulled into the war to retaliate for an Israeli offense against one of their allies. Incidentally, God says "I will turn you around" to come against Israel, which sounds like Russia was already at the borders of Israel, but trying to leave. In recent years, Russia indeed has had military presence near the borders of Israel in Syria (source). In light of modern warfare, it is interesting that Ezekiel tells us that there will be horses involved in the war. Surely Ezekiel used familiar terms to try to describe modern-day weapons and means of transportation he saw in his vision, like tanks and fighter jets. However, that doesn't explain the use of horses. Interestingly, Russia still maintains a horse cavalry. Every war in Russia's history has included this horse cavalry (source). There is precedence in the modern era for the continued use of horses, in addition to modern warfare. During the "Korean War" in the early 1950's, the Chinese moved large numbers of their troops through the mountains with the use of horses. The use of horses for Gog's army might be very useful because Israel is mountainous terrain in the north and the east. 6 Gomer and all its troops; the house of [Beth] Togarmah from the far north and all its troops - many people are with you. In these verses, Ezekiel lists the rest of the participants in the "Gog and Magog War." Without a doubt, Persia is Iran, as their name was just changed in 1935. The areas of Ethiopia and Libya, otherwise known as Cush and Put in other Bible versions are a little tougher to pin down, as they encompassed a larger territory than they do today. While there is disagreement among scholars over the area of ancient Ethiopia or Cush, the area of Sudan is likely involved and may represent the ancient area better than current-day Ethiopia. Most agree that Algeria and Tunisia may also be included. Historians tell us that Gomer used to cover parts of Eastern Europe, possibly as far west as Germany, and east to the former western Soviet states including Ukraine, Belarus, Lithuania, Latvia, and Estonia. Lastly, Armenia and Turkey are likely included in Beth Togarmah. Ezekiel tells us that this will be a massive army with many people under the leadership of Gog. As mentioned earlier, Ezekiel's prophecy shows us that in the future Russia will again govern the former Soviet states to the south, represented by Meshech and Tubal. In other words, before this prophecy takes place, Russia will either re-conquer the southern territories, or they will submit to Russian rule again. Gomer represents the western states, and Ezekiel's prophecy shows that they join Russia in the conflict. With that said, it is interesting that Russia has recently flexed their muscle invading Georgia in 2008 and recognizing South Ossetia as an independent state, and invading Ukraine in 2014, with Crimea breaking away and aligning with Russia. The governments of Russia and some of the former Soviet states are predominately atheistic. The common denominator in the other countries that join Russia is they are all Muslim nations. This is interesting, because the more fundamental sects of Islam believe that Israel does not have a right to exist. Many Muslims believe Allah has called them to destroy the Jews and re-take the Holy Land. Recall my theory from a few sections back, Russia might be pulled into this war as the result of Israel making an offense against one of their allies. It is interesting that the second country listed after Russia and its territories is Persia, or modern-day Iran. Currently, Iran seems hell-bent on developing nuclear technology, presumably to make weapons. Their Islamic ideology suggests that these nuclear weapons would be used to destroy Israel and possibly any nation that sides with Israel. Many predict that when Israel feels the threat that a weapons development is imminent, they will go in and strike Iran's nuclear facilities, as they did to Iraq in 1981 and Syria in 2007. Due to the close ties that Russia has with Iran, it is possible Russia will begrudgingly lead the retaliation, if Israel takes out the Iranian nuclear sites that they helped build. The other nations, being Muslim, will be "chomping at the bit" to destroy Israel, which has been their plan since Israel became a nation. Jeremiah 49:35-39 - "Thus says the LORD of hosts: 'Behold, I will break the bow of Elam, the foremost of their might. Against Elam I will bring the four winds from the four quarters of heaven, and scatter them toward all those winds; there shall be no nations where the outcasts of Elam will not go. For I will cause Elam to be dismayed before their enemies and before those who seek their life. I will bring disaster upon them, My fierce anger,' says the LORD; 'And I will send the sword after them until I have consumed them. I will set My throne in Elam, and will destroy from there the king and the princes,' says the LORD. 'But it shall come to pass in the latter days: I will bring back the captives of Elam,' says the LORD." This "latter days" prophecy shows that the four winds of Heaven come and destroy Elam and send the survivors into global exile. As discussed in Revelation 7:1, the four winds are the four spirits, or four horsemen of the apocalypse. Historically, these four horses rode out from Heaven to Earth during times of God's judgment, as discussed in Zechariah 6. These spirit horses also ride throughout the world during the global judgment in the Tribulation. It is not clear if this judgment on Elam occurs during the Seal judgments in Revelation 6 when the four horses appear, but it is clear that this prophecy will find fulfillment in the last days. In fact, Jeremiah's prophecy against Elam may find fulfillment before the "Gog and Magog War," because Elam was not a part of ancient Persia, but today it is part of Iran. In other words, if God judges Elam before the "Gog and Magog War," the area of Iran spared from destruction will more accurately represent the borders of ancient Persia in Ezekiel's day. Jeremiah's prophecy may even occur before the Tribulation begins. 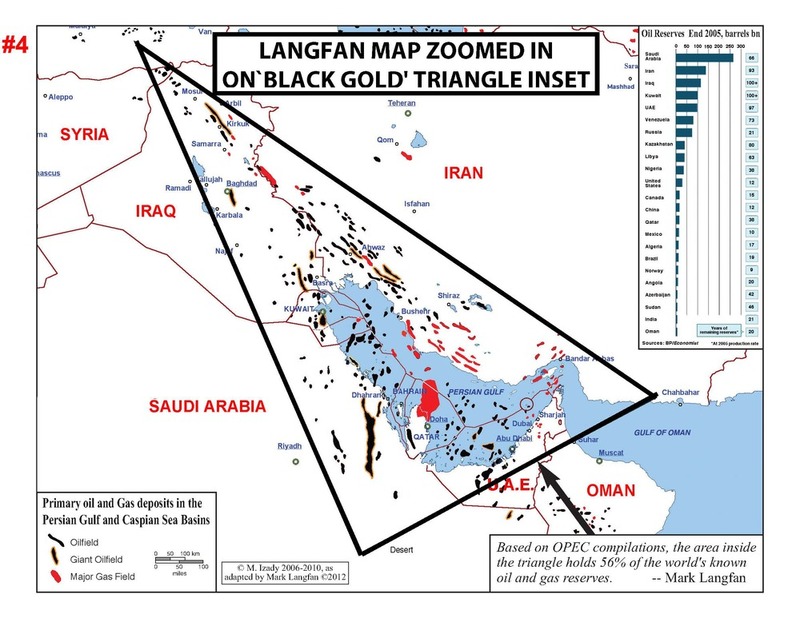 A possible scenario may involve Iran closing off the Strait of Hormuz, which is a narrow passage into the Persian Gulf where nearly fifty percent of the world's oil passes through (source). Iran has threatened to block the strait (source) and the volatile oil prices could drive them to do just that if their oil driven economy collapses. Another possible reason they might close off the strait, is if Israel attempts to strike Iran and they block the strait in response. Whatever, the reason, if Iran closes the Strait of Hormuz, surely a global coalition would strike western Iran to reopen the strait, otherwise global oil prices will skyrocket. Perhaps God will send the four spirit horses out to lead such a coalition to judge Elam. Incidentally, Iran's nuclear facilities are in the ancient area of Elam, but diplomat John Bolton warned that the deadline to strike Iran's nuclear facilities ended in the fall of 2010, and that striking the facilities now is too great of a humanitarian risk and radiation hazard to the region (source). Therefore, if a global coalition strikes Iran now, it could fulfill Jeremiah's prophecy and return Iran to the ancient boundaries of Persia before the "Gog and Magog War." 8 After many days you will be visited. In the latter years you will come into the land of those brought back from the sword and gathered from many people on the mountains of Israel, which had long been desolate; they were brought out of the nations, and now all of them dwell safely. 9 You will ascend, coming like a storm, covering the land like a cloud, you and all your troops and many peoples with you." This passage helps us pinpoint the time in history the "Gog and Magog War" will occur. The war will be in the "latter years," which is the end of the age. Jewish people who have come out of exile, or brought back from the sword, will be living in Israel. Our generation has seen this prophecy fulfilled. Several times Ezekiel tells us that Israel will be "dwelling safely." The word in the original Hebrew for dwelling safely, "betach," can have a meaning of feeling safe, but not necessarily being safe. I doubt Jews in Israel feel completely safe because the countries that neighbor them are enemies that want to annihilate them. That being said, everyday life in most parts of Israel appears to go on normally and peacefully, despite the threat looming nearby. Even with the continued threat from their neighbors, tourism in recent years has skyrocketed in Israel. Due to the repeated prerequisite for Israel to have "peace and safety" before the "Gog and Magog War," I believe something more concrete like a peace treaty or covenant is in view, instead of just a "feeling" of safety. This could be the 7-year covenant that Israel will confirm with the antichrist (Daniel 9:27). If Israel were to conquer their Islamic neighbors, you can imagine the rage that will ensue from the remaining Islamic nations. The strong ties between Russia and many of these Muslim nations could be the hook in the jaw to pull Russia into this conflict with Israel to retaliate against Israel taking out her neighbors. We will discuss this more toward the end of this study, but the "Great Middle East War" study covers this topic in-depth. 12 to take plunder and to take booty, to stretch out your hand against the waste places that are again inhabited, and against a people gathered from the nations, who have acquired livestock and goods, who dwell in the midst of the land. For all practical purposes, Israel is presently a land of "un-walled villages." However, because of Palestinian terrorist attacks, construction of a security fence began several years ago. Portions of the fence surround Jerusalem, but it is not complete. The construction has slowed due to resistance from the Palestinians and the legal battles over it. 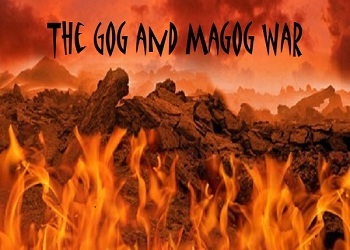 Because of the huge media buzz and political nightmare made over the security fence, it seems to me that the fence will surely be taken down prior-to the Gog and Magog campaign. However, taking the fence down will make Israel more vulnerable to attack. 13 Sheba, Dedan, the merchants of Tarshish, and all their young lions will say to you, "Have you come to take plunder? Have you gathered your army to take booty, to carry away silver and gold, to take away livestock and goods, to take great plunder?" "Tarshish was a son of Javan, who settled the area of Southern Greece. Some see his name as a reference to ancient Tartessus, a seaport in southern Spain, near Gibraltar. Others recall the sea-going navies of the Phoenicians who sailed "the Ships of Tarshish" out of nearby Cadiz as far north as England for tin, a metal used in the making of bronze and other alloys, which they mined in Cornwall. Some believe that the name Britannia is actually derived from a Phoenician word meaning "source of tin." If so, since the ships of Tarshish brought tin to the ancient world, this reference could be to Great Britain, with the "young lions" being their colonies they started, of which the US is the most prominent today. The fact that a lion is a symbol of the British Empire lends support to this view." We find in Genesis 10, that Cush had grandsons named Sheba and Dedan. Later in Genesis 25, Abraham also had grandsons named Sheba and Dedan. We don't know exactly which grandsons are in view in Ezekiel. Most prophecy teachers believe that they were the grandsons of Abraham. Based on Genesis 25:6, Abraham's grandsons, Sheba and Dedan migrated east of Israel, which today is Saudi Arabia. It appears that one of the few, more prominent Islamic nations that do not align with Russia is Saudi Arabia. If Sheba and Dedan represent Saudi Arabia, they will side with the western world to protest the actions of Russia and the other nations. This makes sense, because Saudi Arabia typically aligns with the western world today. An important note to make, is that Israel is all alone in this conflict. The U.S., apparently, is among the young lions watching from the sidelines, but not coming to Israel's aid. At some point before this war, Israel will have lost all her allies and only God will come to her rescue. We have already discussed the possible motives for attacking and dragging Russia into the conflict with Israel. God will force Russia to enter the conflict by a "hook in the jaw," but they will see a silver lining in the spoils of war. In addition to the prerequisite of Israel feeling safe, it will be a wealthy nation at the time of the war, as Ezekiel describes Israel as having "great plunder." Indeed, Israel is much more prosperous than her neighbors. However, Israel could greatly increase her wealth by discovering oil. In recent years, Israel has said to have found a massive reserve of natural gas off the coast of Haifa. This is already drawing conflict with Israel's neighbor Lebanon. Israel having major oil reserves could add "icing on the cake," being plunder and great spoils for Russia to take, in return for helping out their allies. Incidentally, in the 2014 conflict between Russia and Ukraine, Russia threatened to turn off the natural gas supply to Europe through Ukraine, which makes up about a third of Europe's supply, if they back sanctions against Russia over the Ukraine conflict. Due to this threat and the possible economic ramifications, Europe may look elsewhere for their natural gas to lessen their dependence on Russian oil. Potentially, Israel could replace Russia for exporting natural gas to Europe. Russia's loss of income could be motive to attack Israel and take their natural gas as spoil. 15 Then you will come from your place out of the far north, you and many peoples with you, all of them riding on horses, a great company and a mighty army. 16 You will come up against My people Israel like a cloud, to cover the land. It will be in the latter days that I will bring you against My land, so that the nations may know Me, when I am hallowed in you, O Gog, before their eyes." We see the emphasis again on Gog coming from the "far north," which undoubtedly is Russia. God also reiterates that Israel will be dwelling in safety and Gog will know it. Gog "knowing" that Israel is dwelling safely seems to support something more concrete than just a feeling. As stated before, the "feeling of safety" could come from a peace treaty and/or defeat of Israel's immediate neighbors. In other words, whatever will be making Israel feel safe may actually be part of what draws Gog into this battle. This passage discloses the purpose that God has for bringing Gog and these armies against Israel. God will not only reveal Himself to the world, but He will call Israel His people again. In other words, during the war, God will turn back to Israel, as He promised He would again in Hosea 1:10, 2:23 and Romans 9:25-26. 17 Thus says the Lord GOD: "Are you he of whom I have spoken in former days by My servants the prophets of Israel, who prophesied for years in those days that I would bring you against them?" As mentioned at the beginning of this study, Gog will be a human leader likely controlled by a demonic spirit or fallen angel. The passage above supports this notion. Other than Reuben's descendant (1 Chronicles 5:4), other mentions of Gog in Scripture clearly depict him as a supernatural being. In the Greek Septuagint translation of the Bible, Gog is the king of locusts in Amos 7:1. We know these aren't physical locusts because Proverbs 30:27 says that locusts have no king. Revelation 9:11 describes supernatural locusts, but their leader is the angel Abaddon, or Apollyon, not Gog. A parallel passage in Joel 2 tells us that a supernatural locust army removes Gog's army, which shows a spiritual battle that manifests in the physical. In other words, a supernatural army of locusts directed by Gog appears to work through a physical human army to come after Israel, but God protects them with his own army of locusts. Ezekiel indicates that Gog knew that he would lead this battle in "former days." This is further evidence that Gog is not just a human. Gog is also mentioned at the end of Christ's millennial reign, when a rebellious Gentile army will come against the Lord in Revelation 20. Gog himself is not in this war, as Revelation 18:2 shows that the area of Babylon will be a prison for all the demons and foul spirits during the Millennium. So if Gog is a demon or evil spirit, he will be among them, since Scripture shows that only Satan gets released to deceive the nations before the second "Gog and Magog War." There is nothing in Scripture that indicates Satan has any help from other demons or spirits in the "Gog and Magog War" in Revelation 20. In other words, even though Gog does not lead the battle, it is reminiscent of the "Gog and Magog War" in Ezekiel, hence the name given to the army. It is even possible that this army will be descendents of the same nations that will come against Israel in the Ezekiel war. 21 I will call for a sword against Gog throughout all My mountains," says the Lord GOD. "Every man's sword will be against his brother. 22 And I will bring him to judgment with pestilence and bloodshed; I will rain down on him, on his troops, and on the many peoples who are with him, flooding rain, great hailstones, fire, and brimstone. 23 Thus I will magnify Myself and sanctify Myself, and I will be known in the eyes of many nations. Then they shall know that I am the LORD." God will be revealing Himself to the world in this war through judgment. As I will discuss later, I believe this war will likely take place during the Tribulation because God is pouring out His Wrath. Major tectonic and atmospheric forces will be the tools of God's judgment in this war. A major earthquake in the region will flatten the mountains. This could awaken dormant volcanoes near the enemy line, and rain down fire and brimstone on them. God will also bring a mighty thunderstorm on the army. In addition, God will bring confusion to the attackers and they will kill each other, just like the enemies of Gideon and his men did in Judges 7. Truly this will be the most horrific event in human history since the flood, and will have consequences that will shake the rest of the world. Haggai 2:20-22 - And again the word of the LORD came to Haggai on the twenty-fourth day of the month, saying, "Speak to Zerubbabel, governor of Judah, saying: 'I will shake heaven and earth. I will overthrow the throne of kingdoms; I will destroy the strength of the Gentile kingdoms. I will overthrow the chariots and those who ride in them; the horses and their riders shall come down, every one by the sword of his brother.'" The second chapter of Haggi shows that the twenty-fourth day of the tenth month is very important. In fact, this prophecy was partly fulfilled in the victory of the Maccabean revolt of 165BC. This is the event that the Jewish people commemorate in the holiday of Chanukah (or Hanukkah); where after victory, the Jews began the process of cleansing the temple on the twenty-fifth day of the tenth month of the Jewish calendar. Jews light the first candle of the menorah at sundown on the twenty-fourth day. Some believe that the complete fulfillment will be the "Gog and Magog War," perhaps on the twenty-fourth day of the tenth month of the year of its fulfillment. 1 "And you, son of man, prophesy against Gog, and say, 'Thus says the Lord GOD: "Behold, I am against you, O Gog, the prince of Rosh, Meshech, and Tubal...."'"
In this passage, God reiterates that Gog is the prince of Rosh, Meshech and Tubal. Further evidence that Gog is a supernatural leader is in Daniel 10:13, where there is a supernatural leader called the "Prince of Persia" who Michael, the archangel, struggled against, as mentioned earlier. Michael told Daniel that there was also a supernatural leader of Greece (Daniel 10:20). We wrestle against "principalities, against powers, against the rulers of the darkness of this age, [and] against spiritual hosts of wickedness in the heavenly places" (Ephesians 6:12). In other words, Satan has organized a spiritual military, complete with commanders to spiritually attack humans of all nations. In the "Gog and Magog War," this spiritual war will manifest into a physical war, with God's judgment coming against the partakers. 2 "...and I will turn you around and lead you on, bringing you up from the far north, and bring you against the mountains of Israel. 3 Then I will knock the bow out of your left hand, and cause the arrows to fall out of your right hand. 4 You shall fall upon the mountains of Israel, you and all your troops and the peoples who are with you; I will give you to birds of prey of every sort and to the beasts of the field to be devoured. 5 You shall fall on the open field; for I have spoken," says the Lord GOD. 7 So I will make My holy name known in the midst of My people Israel, and I will not let them profane My holy name anymore. Then the nations shall know that I am the LORD, the Holy One in Israel. 8 Surely it is coming, and it shall be done," says the Lord GOD. "This is the day of which I have spoken." Gog's army and "those who live in security in the coastlands" will come under judgment. It is not clear who these coastland dwellers are. The most popular theory is that the damage will extend to Europe and/or the Americas. I don't understand the reasoning behind this, especially since many believe that the western nations are Tarshish and their young lions. Personally, I think it makes more sense that the damage will extend back to the attackers' countries. Perhaps more specifically to the organizations and people who have supported the anti-Israel campaign; particularly Islamic terrorists. Incidentally, many of those who fund these Islamic terrorists live in the rich cities of the Middle East coastal areas, such as those in the Persian Gulf. These people may feel secure because of the massive army that will come together to carry out their campaign. God is not going to allow Israel to profane His name any longer after this war. In addition, God is reiterating that He will be revealing Himself to the world in judgment. This seems to support the notion that the 70th week of Daniel has commenced. God will be dealing with Israel's transgression during this time of judgment. In the "Pre-Tribulation Rapture" study, I discuss in detail the purpose of "Daniel's 70th week." 10 They will not take wood from the field nor cut down any from the forests, because they will make fires with the weapons; and they will plunder those who plundered them, and pillage those who pillaged them," says the Lord GOD. Most prophecy teachers today believe that these weapons will be nuclear, thus "burned" as nuclear energy. I don't believe that the amount of weapons plundered will be just enough to burn for seven years. Rather, I believe there will be a limited 7-year period of burning these weapons by those who dwell in Israel. Note that the passage does not say that it is God's people, or "the house of Israel," as specified in the next passage, who will burn the weapons, but "those who dwell in Israel," which is not limited to only Jews; other people groups live in Israel too. This is important to remember for our discussion later about the timing of the war. 12 For seven months the house of Israel will be burying them, in order to cleanse the land. 13 Indeed all the people of the land will be burying, and they will gain renown for it on the day that I am glorified," says the Lord GOD. 15 The search party will pass through the land; and when anyone sees a man's bone, he shall set up a marker by it, till the buriers have buried it in the Valley of Hamon Gog. 16 The name of the city will also be Hamonah. Thus they shall cleanse the land." The burial-place of the man controlled by Gog is in Israel, east of the sea. "East of the sea" is the land east of the Dead Sea. Ezekiel tells us that this land will belong to Israel. Today, this land is part of Jordan. This supports the likelihood that Israel will defeat her neighbors and expand her borders in a war prior-to the "Gog and Magog War." We will discuss this more at the end of the study. It will take seven months for the "house of Israel" to bury the dead. Based on the carnage described, the mess would take a lot longer to clean up without the help of scavenger birds (Ezekiel 39:4). The detailed method of cleanup, described by Daniel, is the same used in nuclear decontamination today (source). 17 "And as for you, son of man, thus says the Lord GOD, 'Speak to every sort of bird and to every beast of the field: "Assemble yourselves and come; gather together from all sides to My sacrificial meal which I am sacrificing for you, a great sacrificial meal on the mountains of Israel, that you may eat flesh and drink blood. 18 You shall eat the flesh of the might, drink the blood of the princes of the earth, of rams and lambs, of goats and bulls, all of them fatlings of Bashan. 19 You shall eat fat till you are full, and drink blood till you are drunk, at My sacrificial meal which I am sacrificing for you. 20 You shall be filled at My table with horses and riders, with mighty men and with all the men of war,"' says the Lord GOD." There is a shift of events here. Before verse 17, Ezekiel describes a regional war with Gog and his armies. Right after this, the scriptures describe a seven-month cleanup and burial. But then in this passage, the birds come to feast on "all men of war." At the end of the Tribulation in Revelation 19:17-21, we find the parallel passage to this "fowl's feast." The Gog and Magog armies will be bird food, as specified in Ezekiel 39:4. But here, verses 17-20 clearly say "all men of war" will be given to the birds and beasts, not just Gog's men of war. We will see in the next passage, after this feasting God will bring the Jews back to Israel. The gathering of the Jews will be at the end of the Tribulation (Matthew 24:31). In contrast, Jesus commands the Jews to run to the mountains and hide during the Tribulation (Matthew 24:15-20). In short, Ezekiel 38-39:16 covers one regional event, and Ezekiel 39:17 thru the end of the chapter covers another event on a global scale. It is not uncommon for separate events in prophetic passages to appear written as just one event. There are several passages of Christ's 1st and 2nd Comings in the Old Testament which show this. (Click here for examples). In this case, Ezekiel 38-39 appears to describe the opening and closing scenes of the Tribulation. 21 "I will set My glory among the nations; all the nations shall see My judgment which I have executed, and My hand which I have laid on them. 22 So the house of Israel shall know that I am the LORD their God from that day forward. 23 The Gentiles shall know that the house of Israel went into captivity for their iniquity; because they were unfaithful to Me, therefore I hid My face from them. I gave them into the hand of their enemies, and they all fell by the sword. 24 According to their uncleanness and according to their transgressions I have dealt with them, and hidden My face from them." Zechariah 13:9 - "I will bring the one-third through the fire, will refine them as silver is refined, and test them as gold is tested. They will call on My name, and I will answer them. I will say, 'This is My people'; and each one will say, 'The Lord is my God.'" 26 after they have borne their shame, and all their unfaithfulness in which they were unfaithful to Me, when they dwelt safely in their own land and no one made them afraid. 28 then they shall know that I am the LORD their God, who sent them into captivity among the nations, but also brought them back to their land, and left none of them captive any longer. 29 And I will not hide My face from them anymore; for I shall have poured out My Spirit on the house of Israel,' says the Lord GOD." Jeremiah 12:14-15 - Thus says the Lord: "Against all My evil neighbors who touch the inheritance which I have caused My people Israel to inherit - behold, I will pluck them out of their land and pluck out the house of Judah from among them. Then it shall be, after I have plucked them out, that I will return and have compassion on them and bring them back, everyone to his heritage and everyone to his land." God will also pour out His Spirit on the house of Israel by the end of the Tribulation (Joel 2:28-29 & Zechariah 12:10). "All Israel will be saved" after this point (Jeremiah 31:1 & Romans 11:26); they will not turn from God, or He from them, because God will circumcise their hearts to love Him (Deuteronomy 30:1-6). Zechariah 2:1-5 - Then I raised my eyes and looked, and behold, a man with a measuring line in his hand. So I said, "Where are you going?" And he said to me, "To measure Jerusalem, to see what is its width and what is its length." And there was the angel who talked with me, going out; and another angel was coming out to meet him, who said to him, "Run, speak to this young man, saying: 'Jerusalem shall be inhabited as towns without walls, because of the multitude of men and livestock in it. For I,' says the LORD, 'will be a wall of fire all around her, and I will be the glory in her midst.'" Zechariah 2:6-9 - "Up, up! Flee from the land of the north," says the LORD; "for I have spread you abroad like the four winds of heaven," says the LORD. "Up, Zion! Escape, you who dwell with the daughter of Babylon." For thus says the LORD of hosts: "He sent Me after glory, to the nations which plunder you; for he who touches you touches the apple of His eye. For surely I will shake My hand against them, and they shall become spoil for their servants. Then you will know that the LORD of hosts has sent Me." Zechariah 2:10-13 - "Sing and rejoice, O daughter of Zion! For behold, I am coming and I will dwell in your midst," says the LORD. "Many nations shall be joined to the LORD in that day, and they shall become My people. And I will dwell in your midst. Then you will know that the LORD of hosts has sent Me to you. And the LORD will take possession of Judah as His inheritance in the Holy Land, and will again choose Jerusalem. Be silent, all flesh, before the LORD, for He is aroused from His holy habitation!" On the next page, we will take a look at the possible timing of the war, and other frequently asked questions about the "Gog and Magog War."